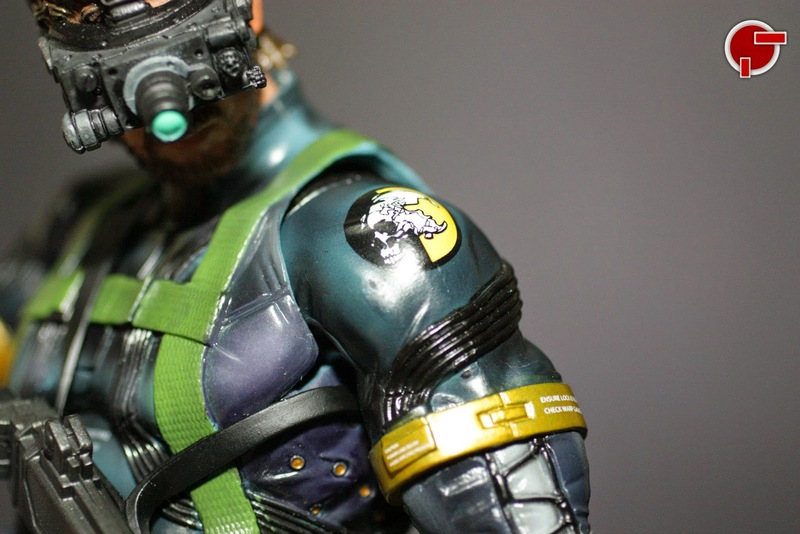 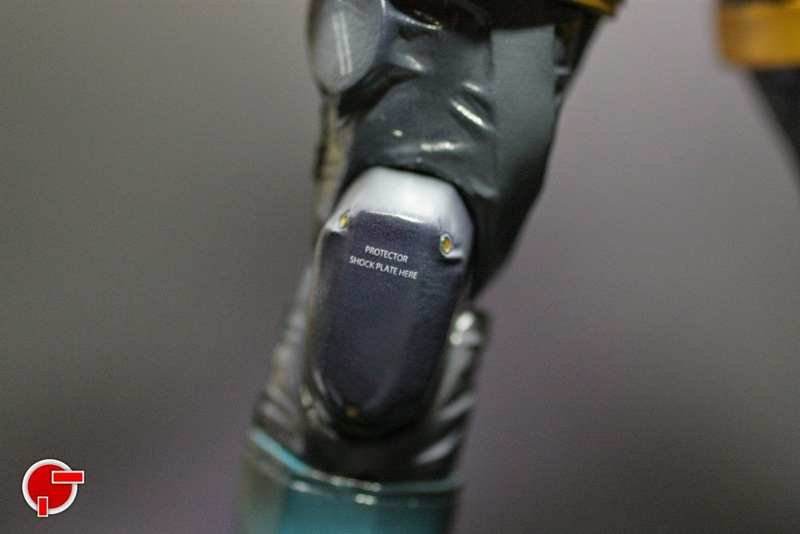 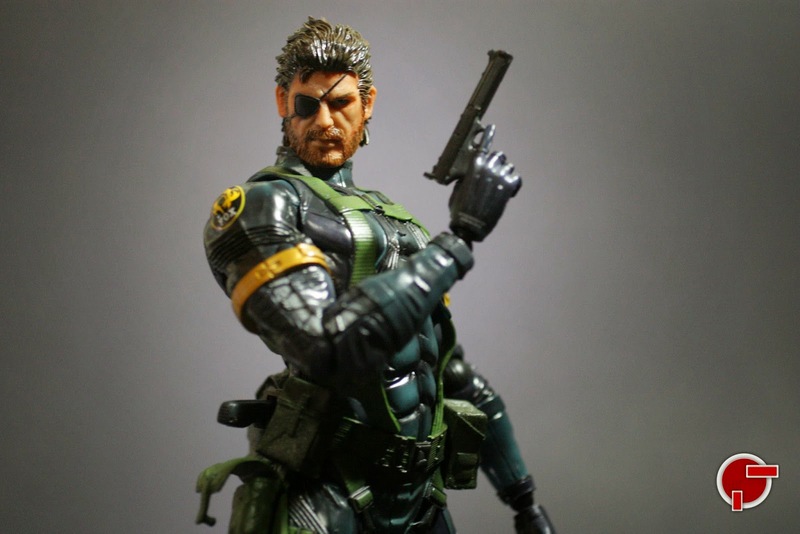 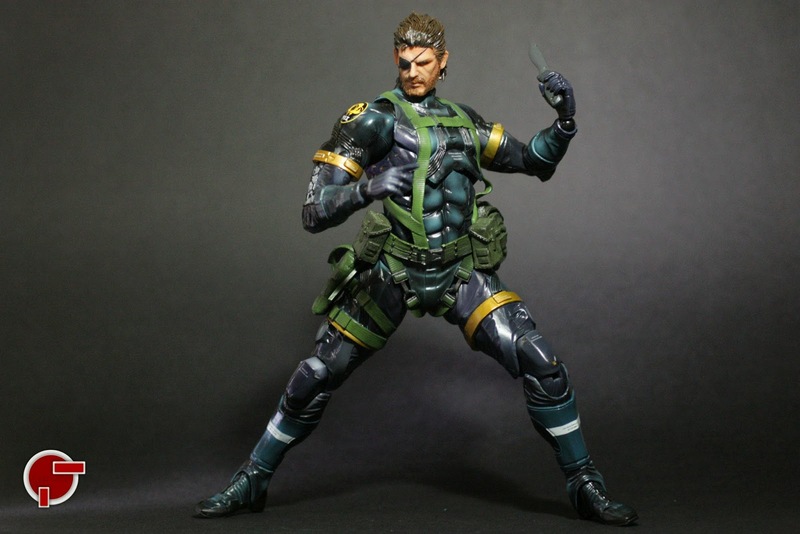 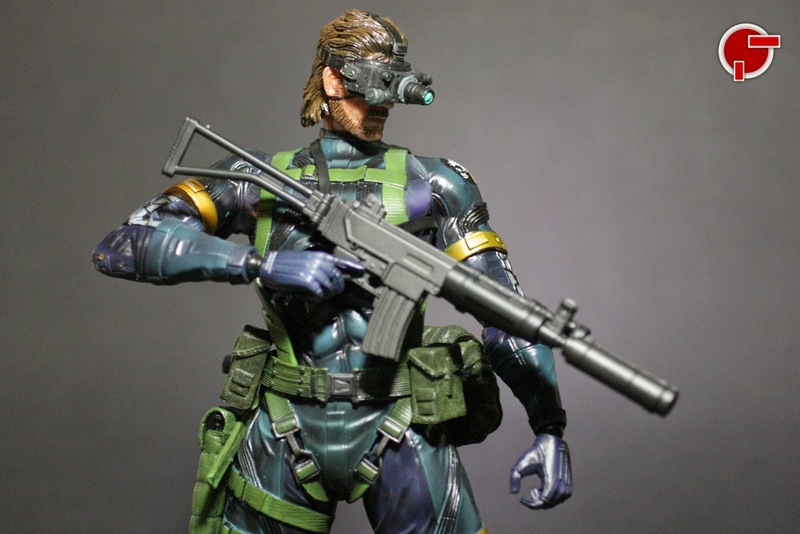 Big Boss returns to the Metal Gear Play Arts Kai line up with the Metal Gear Solid V Ground Zeroes Snake. 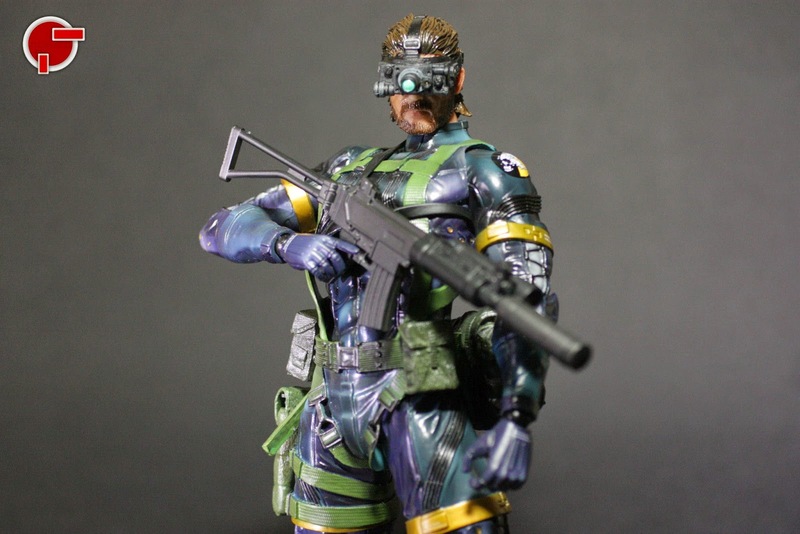 This version of Snake has a more fit body line, recreated from the 3D renders of the game following through the finest details and texture. 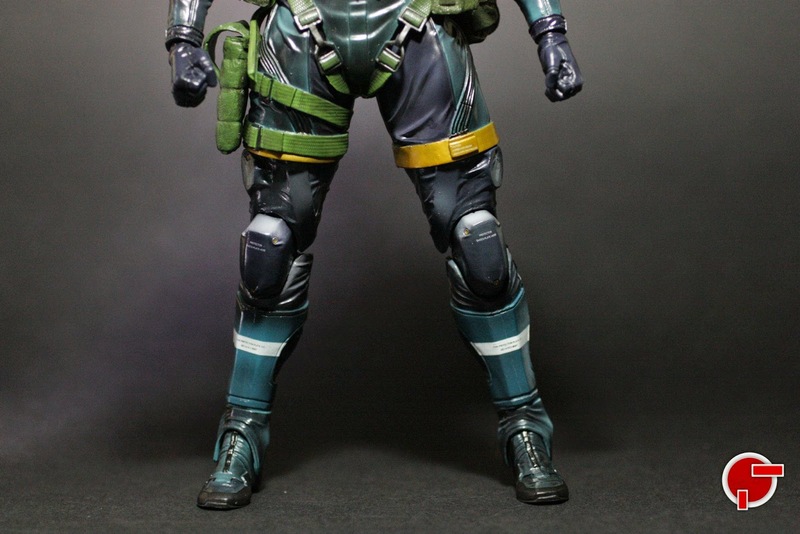 The feel of the suit is different from past releases, as there seems to be tolerance in sense of tension and resilience when moved. 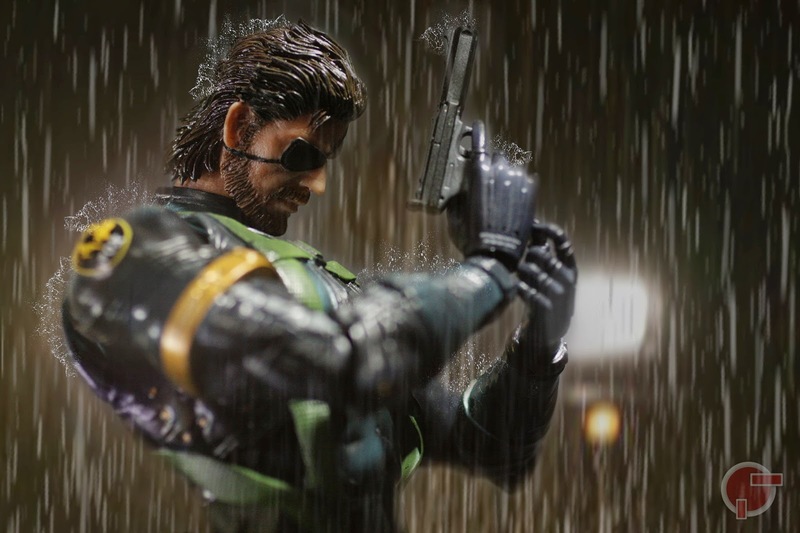 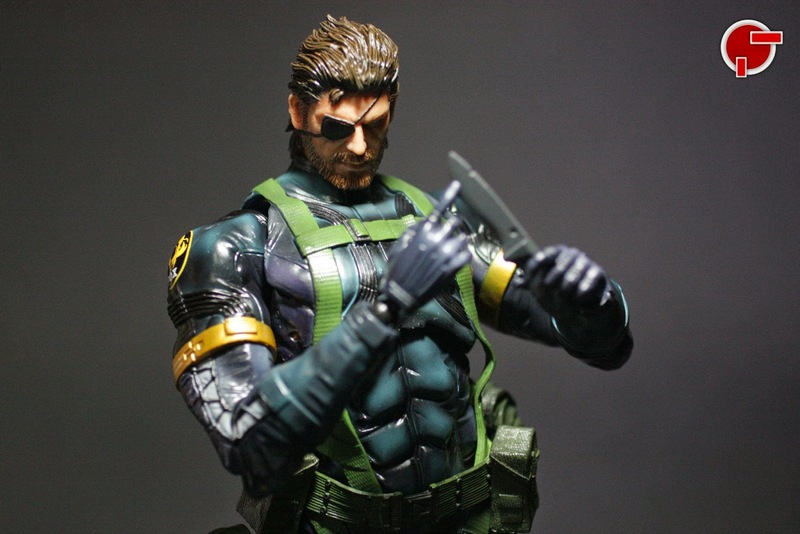 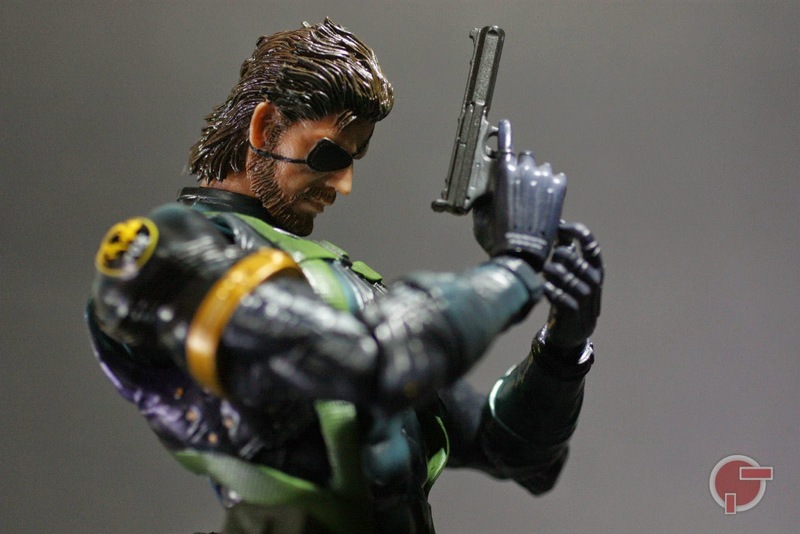 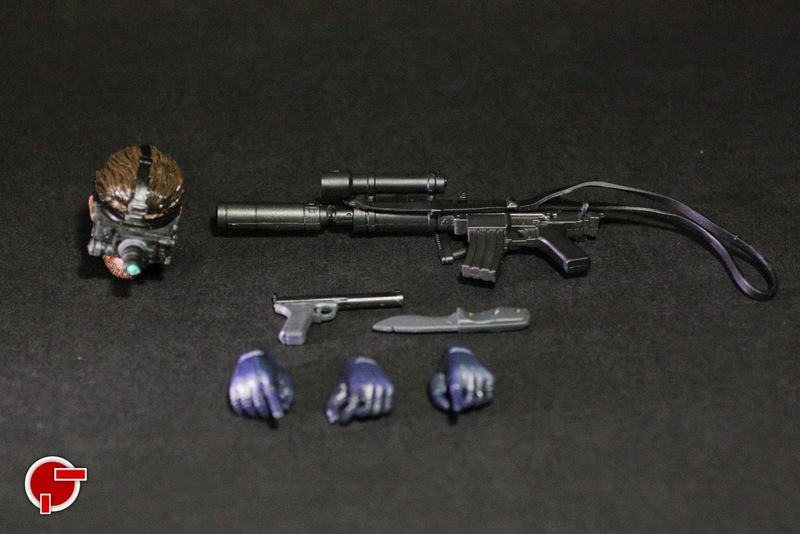 Snake includes a handgun, a knife, a rifle, 3 extra hand replacements, a headpiece with a night vision scope on and a Play Arts Kai stand. 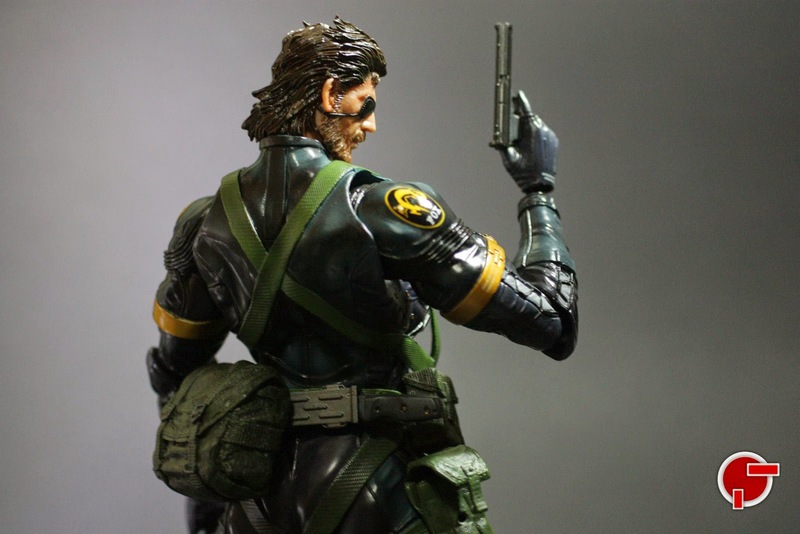 His gun and knife can be holstered on the respective positions on the body but the rifle needs an extra step. 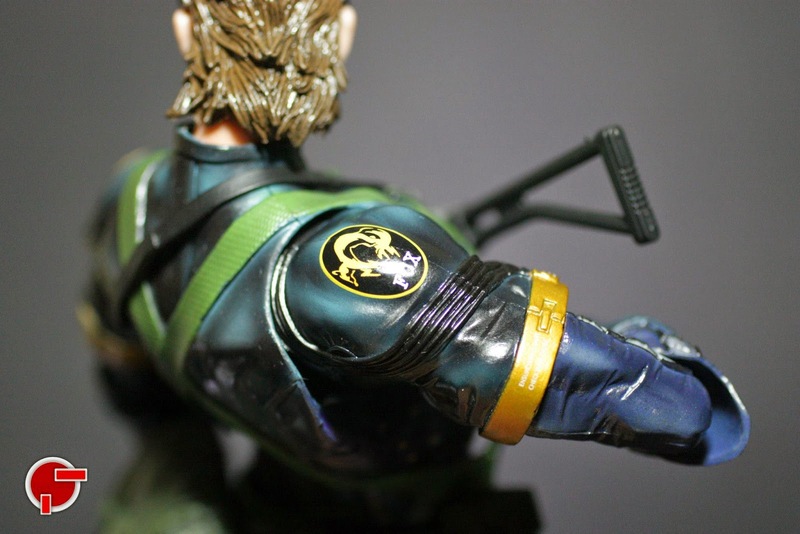 Unfold the shoulder rest and then detach the head to give way for the sling to pass through, small adjustments can be made to make it more natural on Snake. 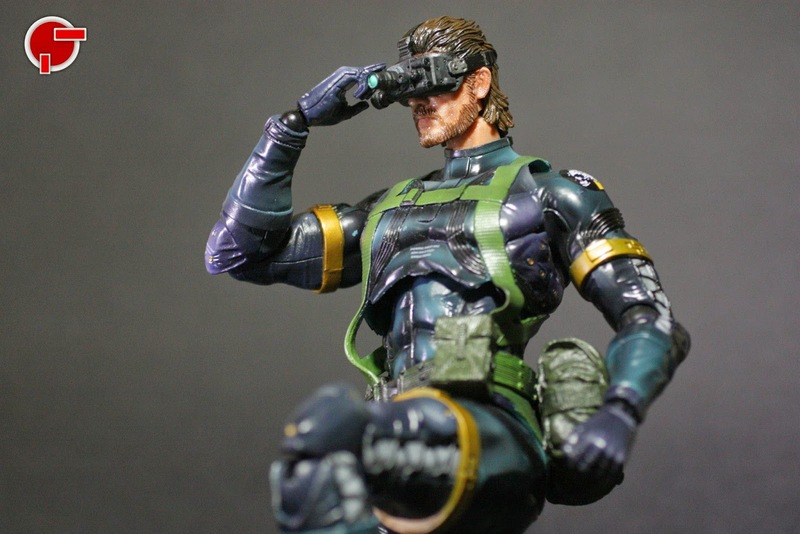 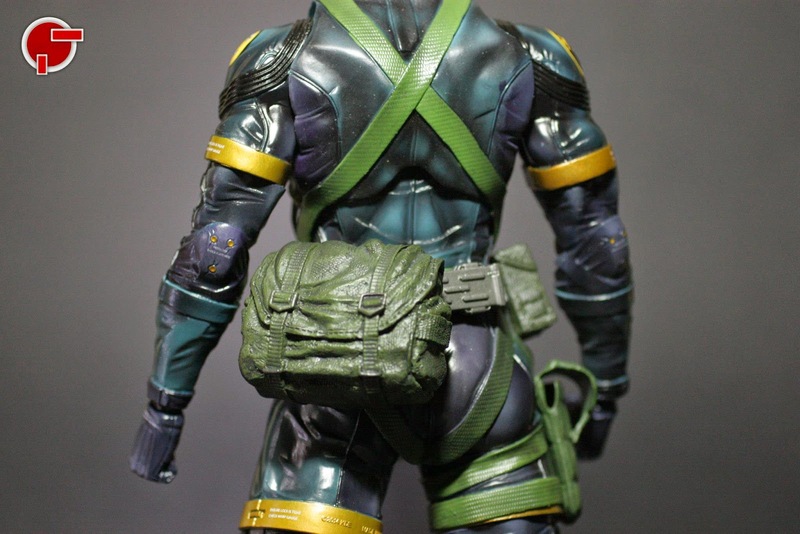 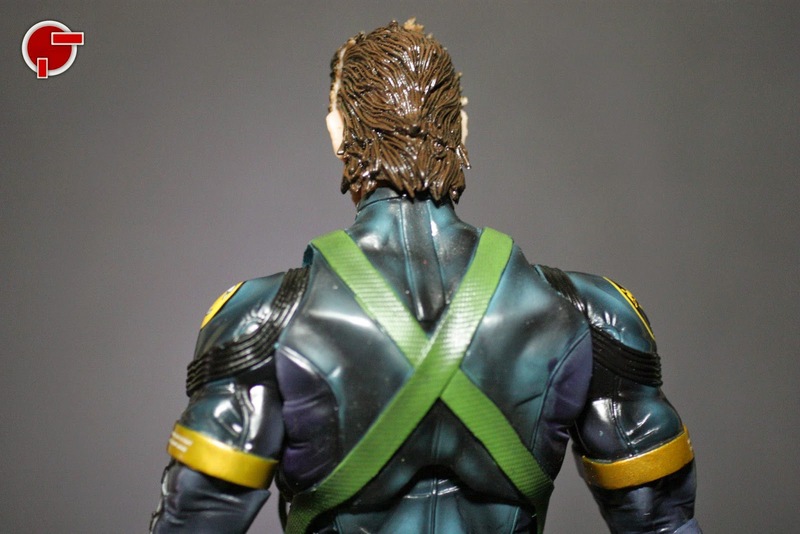 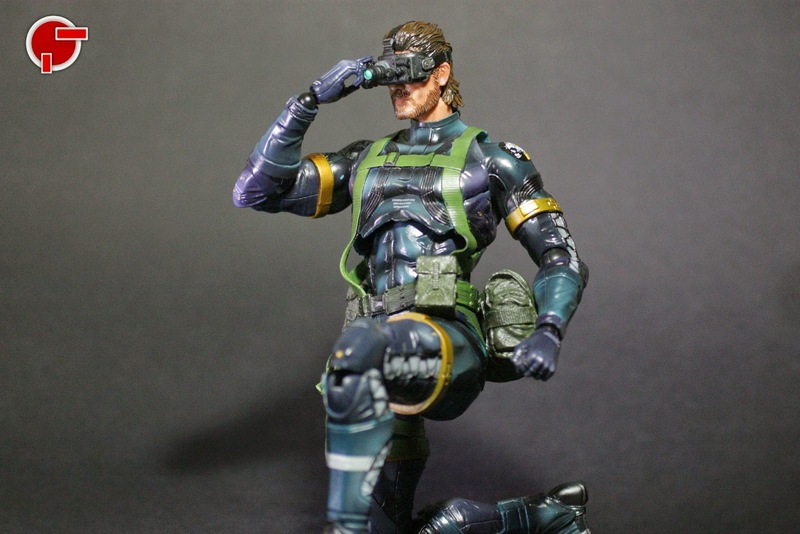 Fans will be happy on the attention to detail to Snake especially the familiar Foxhound logos on the shoulders and prints on the knee pads and chest. 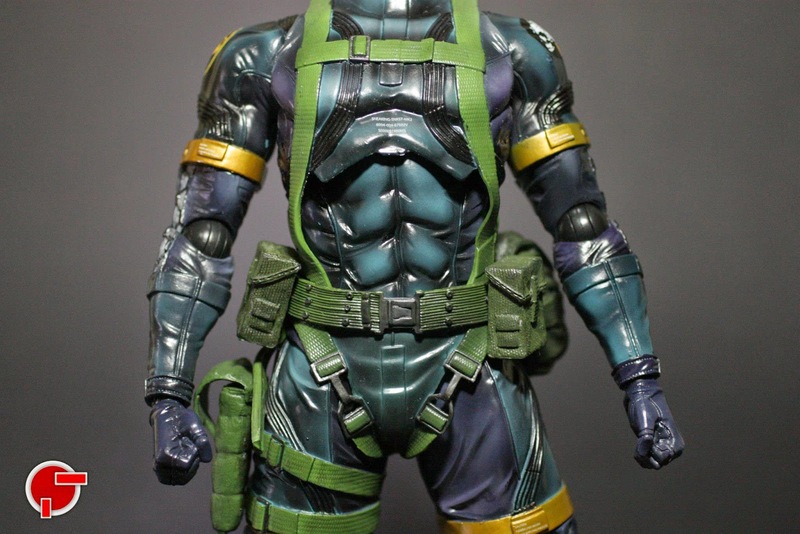 One nitpick I had are the arms that seem like these are not proportioned to the frame. 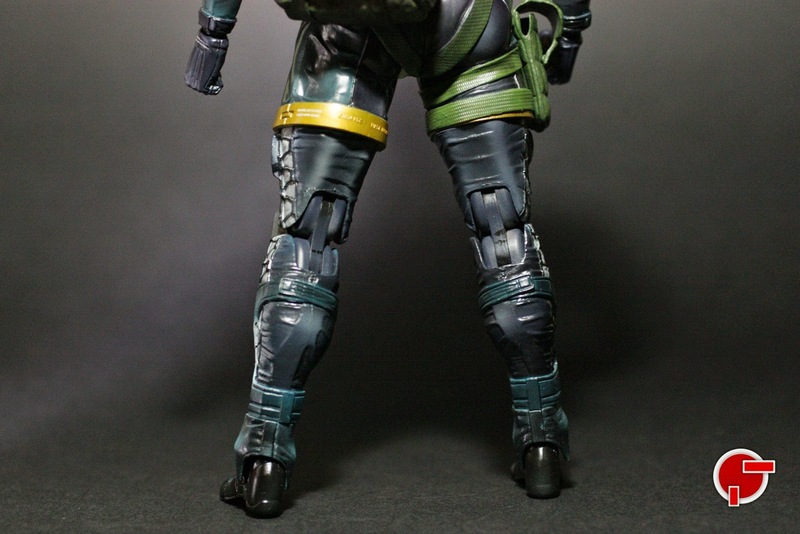 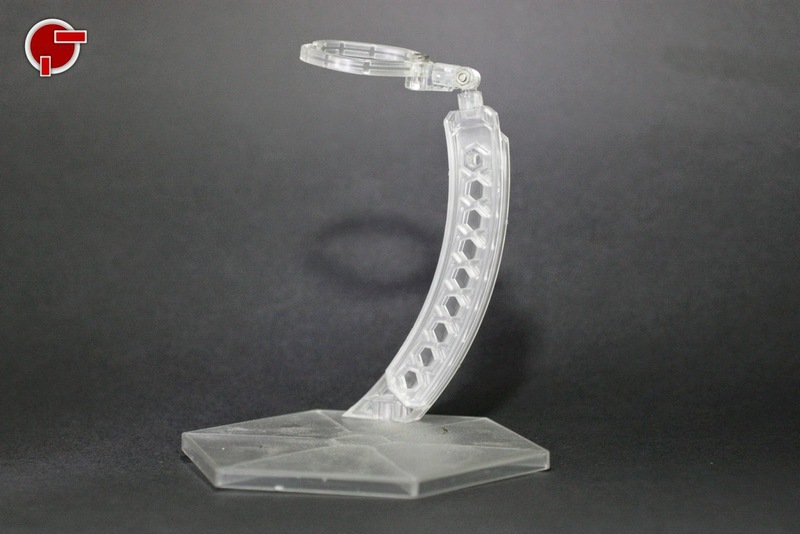 The rest are just plain superb execution and one of the most seamless joint structures out in the market. 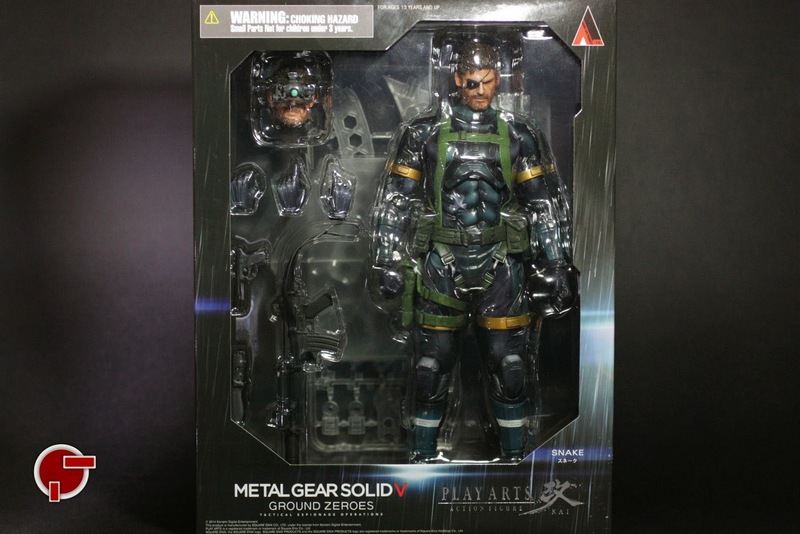 I highly recommend picking this up and a must to your growing Metal Gear figure collection. 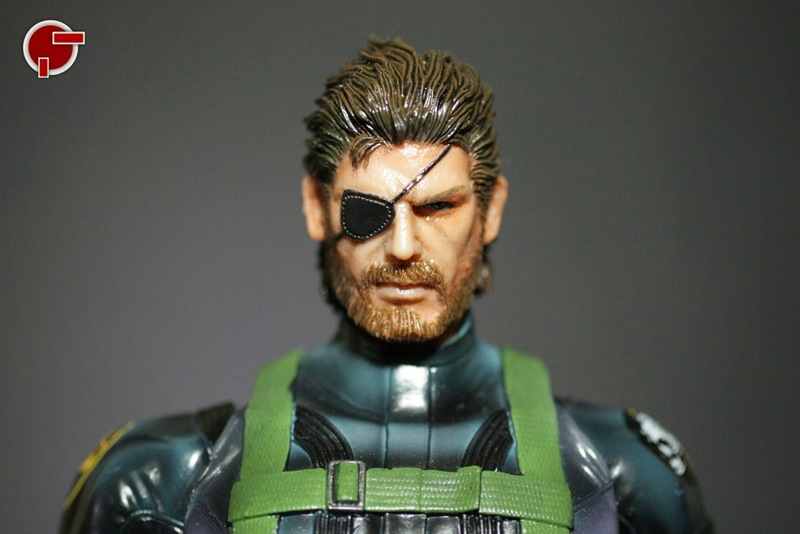 which one do you think looks better, this one or the peace walker?